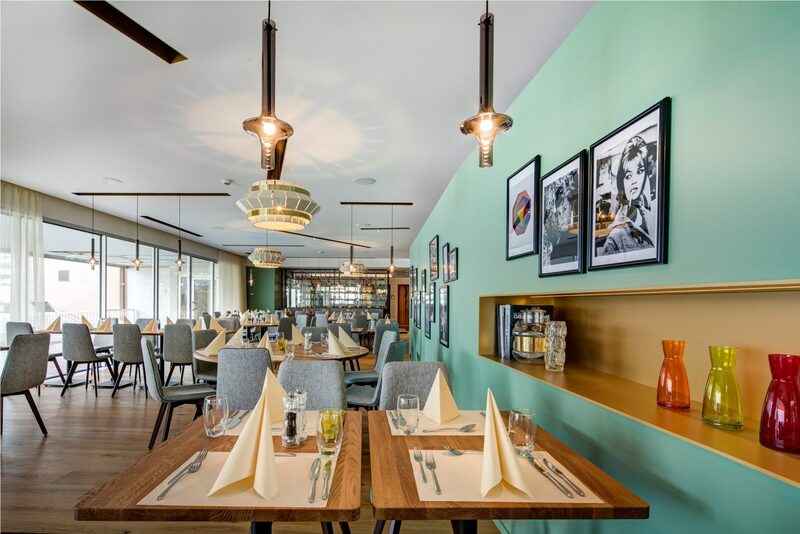 Fully refurbished at the beginning of 2017, L’Epicurienne is decorated in an updated sixties style. From lighting to materials and textures, nothing has been left to chance! 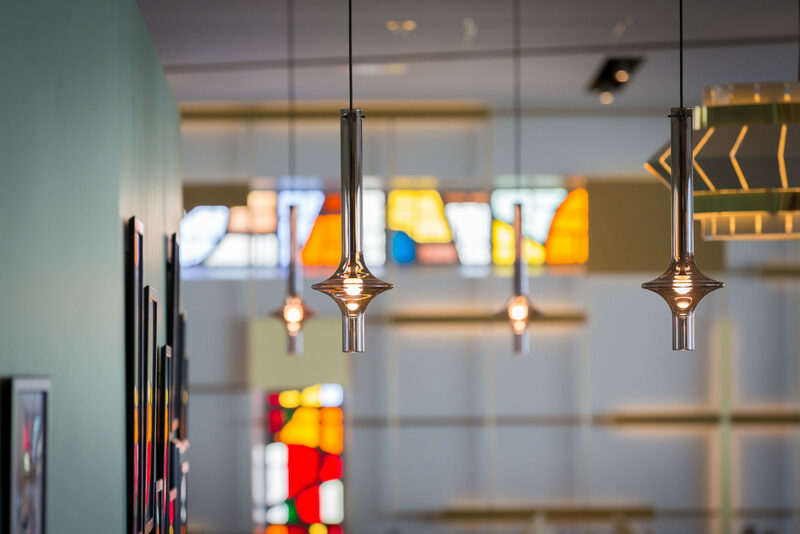 Oak table-tops and flooring, beige fabric chairs, pale pink blown glass lamps, an almond green wall… Genuine works of art in the form of stained glass windows dating from 1962 grace one of the walls, with Bauhaus-influenced geometric patterns. 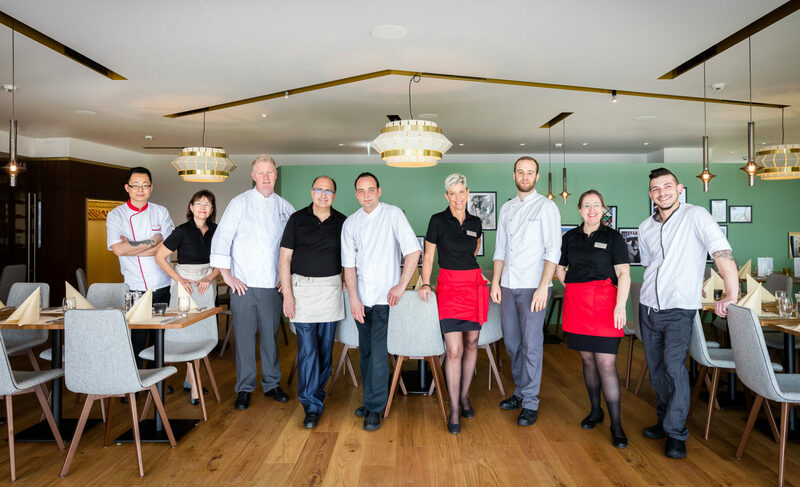 Whatever the weather, at any time of year, the dining room’s large windows let you enjoy a panoramic view over Lake Geneva and the Alps. The lunch menu has something to suit every taste, with a choice of four main courses including a vegetarian option. L’Epicurienne has also thought about wine lovers. 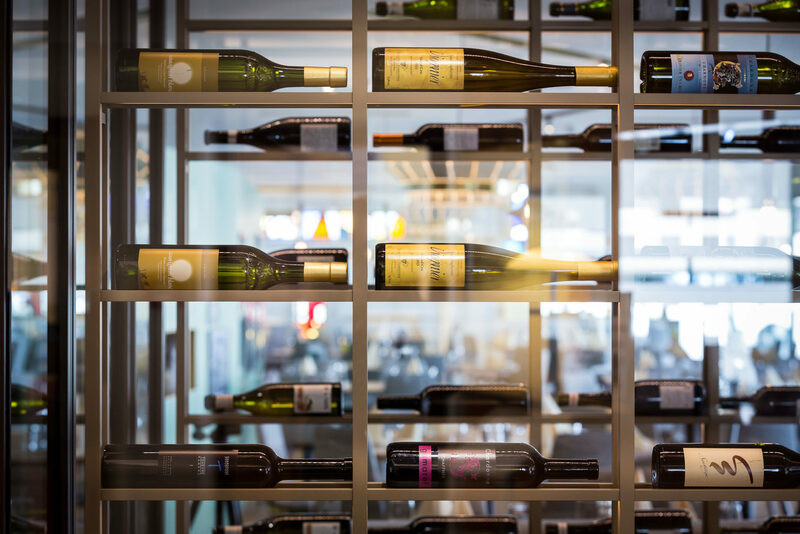 In a custom-made nook, a glass “cellar wall” showcases Lavaux wines and other discoveries waiting to be made. 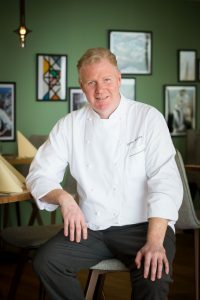 Executive Chef Laurent Omphalius takes his inspiration from local produce. His high-quality food is classic with a creative twist. 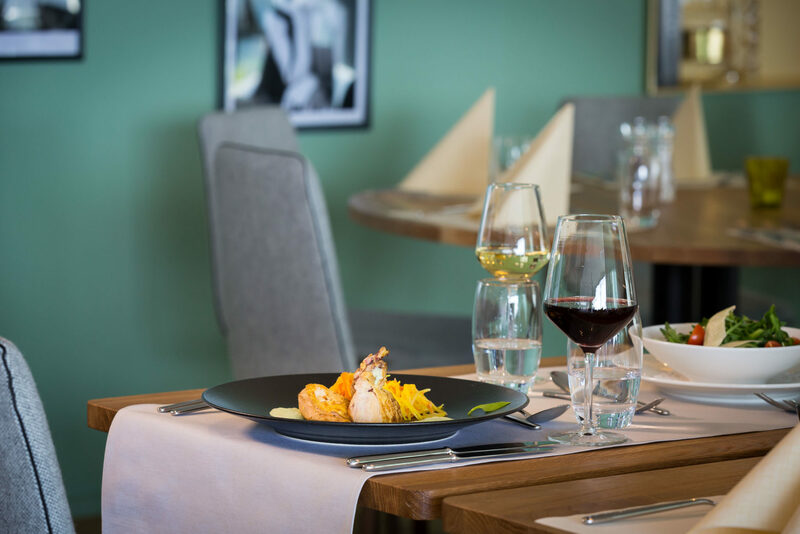 Refined dishes, blends of spices and aromatic herbs, regional wines, seasonal fruit and vegetables, artisan ice-cream and homemade desserts characterise our offer. The herbs used to flavour our dishes come from the hotel garden. 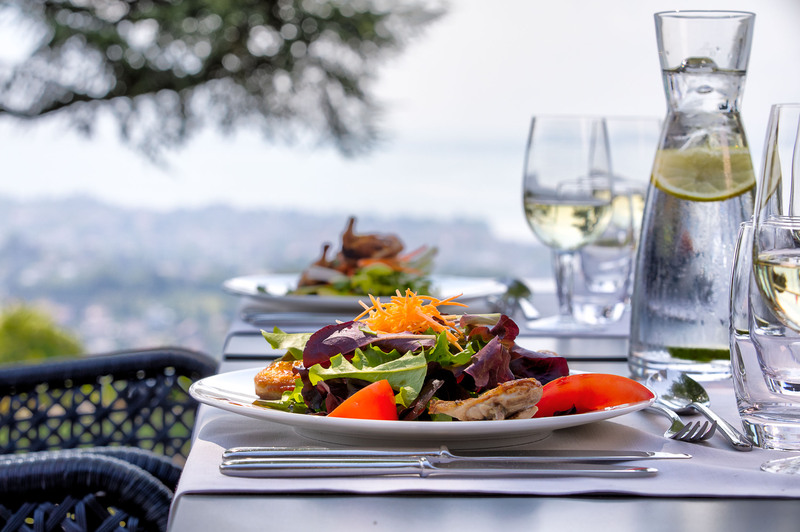 We prepare balanced, healthy meals served with a smile, either in the restaurant or on one of the terraces with a lake view in fine weather.